TaylorMade has never been afraid to use the latest in technology when manufacturing golf clubs. They constantly strive to be on the cutting edge to provide golfers with any conceivable (legal) advantage. Some golfers love this because it makes the game easier, other golfers hate this because it’t not “traditional.” Regardless of which side of the line you fall on, the M1 irons are unmistakably some of the best golf clubs for golfers who want plenty of forgiveness. The TaylorMade M1 golf clubs are a smaller and sleeker version of TaylorMade’s M2 line of golf clubs. Overall, the TaylorMade M1 golf clubs inspire confidence, get the ball into the air and on target, and are some of the best golf clubs money can buy. They are a great option for players looking to move on from their massive cavity backs, but still need forgiveness. The few criticisms that we have are that these golf clubs aren’t very sleek-looking at have incredibly strong lofts. The TaylorMade M1 irons occupy an increasingly popular space within the iron market. They are somewhere between bladed forged irons and cavity backs. With this blended design, they are much easier to hit than blades, yet they offer the playability that improving golfers desire. Compared to the M2s, the TaylorMade M1 golf clubs allow golfers to work the ball more and to hit lower trajectory controlled shots. The M2 line is specifically designed to maximize height, distance, and forgiveness. However, the M2 line is meant to straddle the line between pure workability with a little forgiveness. As we mentioned, we like the look of the M1 line. 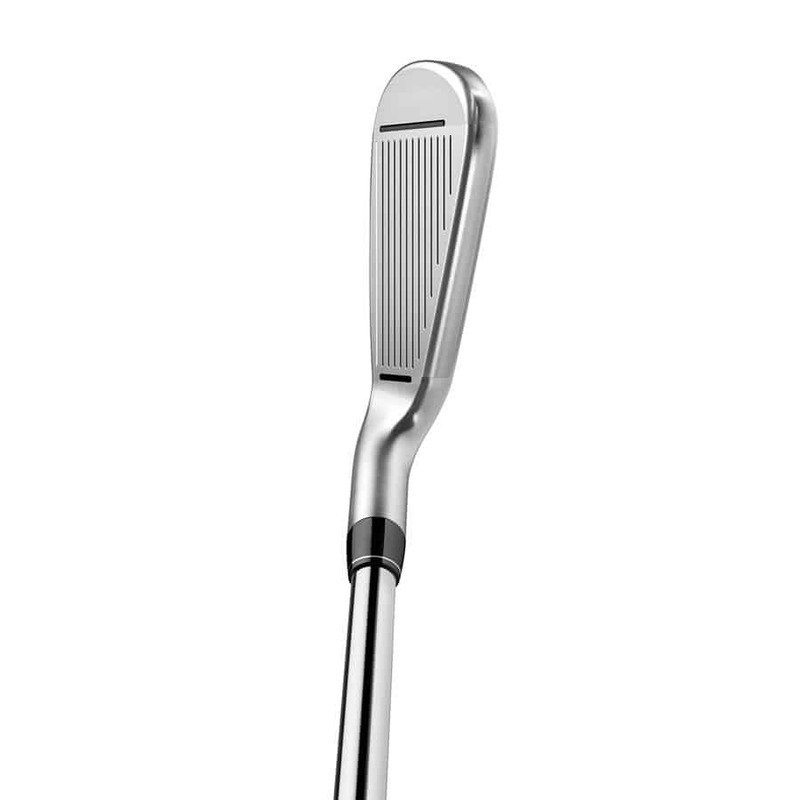 It does its best to have a thin top line and to avoid the “clunky” look associated with pure cavity back irons. 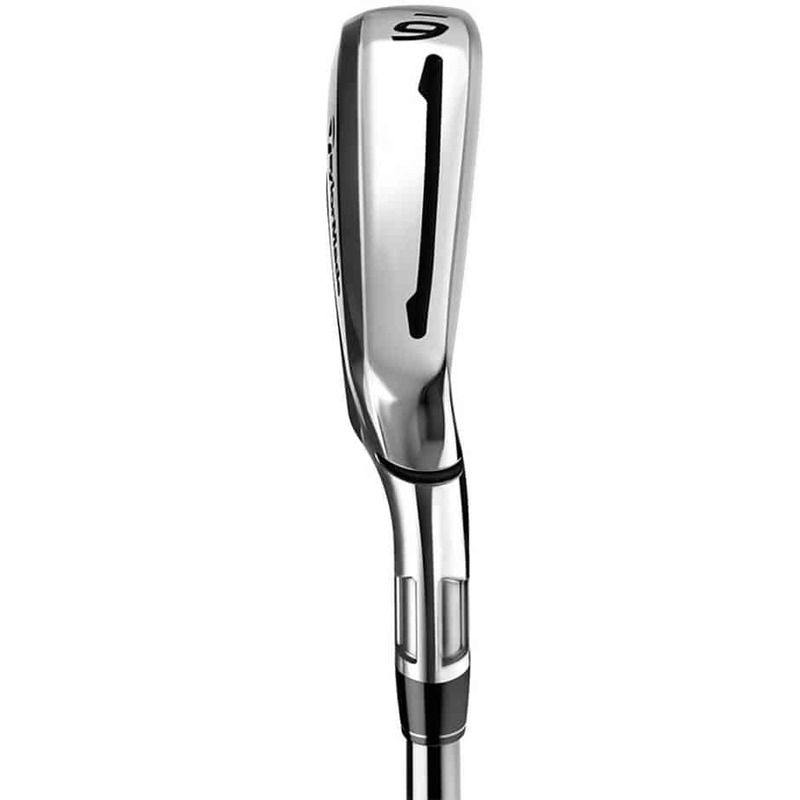 Making a golf club look sleek when its purpose is to be (in part) forgiving is a difficult task. The technology that TaylorMade included in this golf club to make it easier to hit also makes the golf club look like less of a traditional blade. While some golfers think that TaylorMade missed the mark here, we disagree. 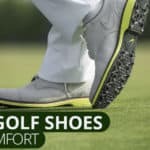 They’ve woven in the technology of the tungsten toe and slotted sole with the golf club head without overpowering it with a cyborg-like look. The heads of the TaylorMade M1 golf clubs start off small with the wedges and get a little larger as the clubs get longer. These golf clubs also have more offset in the long irons. However, none of these features are overwhelming from a visual perspective and most golfers should be happy with the appearance of these golf clubs. 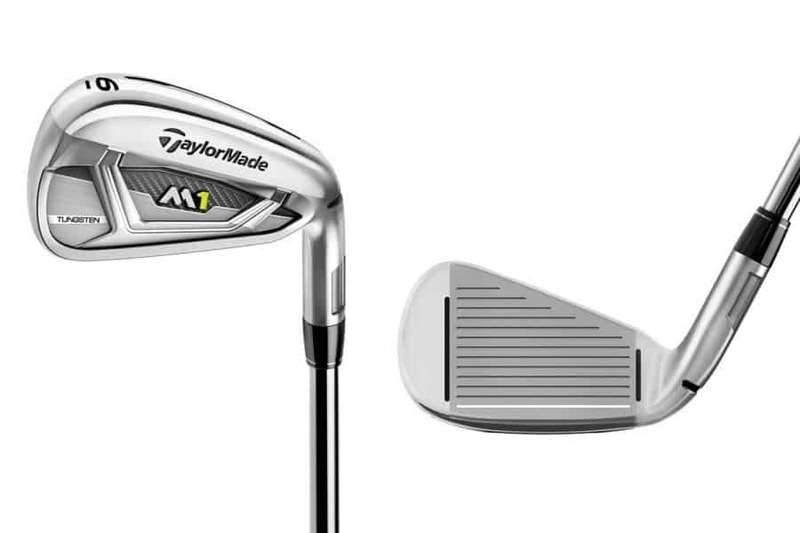 TaylorMade used a feature on the TaylorMade M1s that has been included in some of the other popular TaylorMade irons. TaylorMade is no stranger to speed slots and has included them in this set of golf clubs. As you’ll notice from the pictures, TaylorMade has included a speed pocket in the sole of this golf club. It’s primary objective is to help maximize ball speed at impact by increasing the flexibility of the boundaries of the clubface. 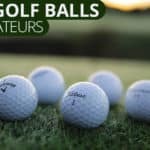 When you mishit a golf ball off of the toe or the heel of the clubface, you typically lose distance because these areas of the club head are terrible at converting the energy generating by swinging the club into ball speed. With more flexible and rebounding edges of the clubface, the energy from your swing will transfer more efficiently to the golf ball. This will lead to more distance on improperly struck shots. 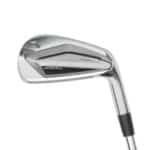 Additionally, TaylorMade has creatively used a tungsten weight in the toe of the longer irons (3 – 7) so that these golf clubs are still easy to hit despite the smaller clubhead size. 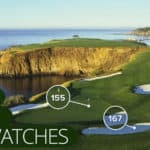 Not only are you likely to appreciate the way these clubs look at address due to the smaller clubheads, but you will should also feel good about your chances of hitting a quality shot with each swing. One of the most important things you can do with any golf club is to customize it to fit your own swing. Very few golfers can play clubs ‘off-the-rack’, as most players need at least some degree of customization before the golf clubs will compliment their swing. With that in mind, TaylorMade has included a small notch on the back of the hosel of the M1 irons. This notch makes it much easier for club fitters to adjust the lie angle of the irons. If you’ve ever had clubs professionally fitted, you know that the lie angle of the golf club at address is extremely important and is different for each golfer. With the TaylorMade M1 irons the process of finding the correct lie angle with your golf clubs is made much easier because of the hosel notch. Are these the best golf clubs for you? The TaylorMade M1 irons are pretty much a no-brainer. If you’re in the market for new golf clubs and are ready to move past pure cavity back irons, these are by far the best option. The technology packed into the golf clubs are second to none. 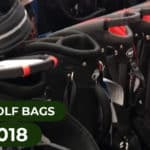 These golf clubs include features that no other golf clubs on the market offer and they are truly designed to make the game easier for you by giving you more access to the customization that professionals enjoy. When you consider the cost of these golf clubs, right now, they are the best golf clubs money can buy. You’re just not going to find this type of technology and quality for this price anywhere else. 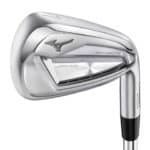 For more of our golf iron reviews please check out our best golf clubs page.